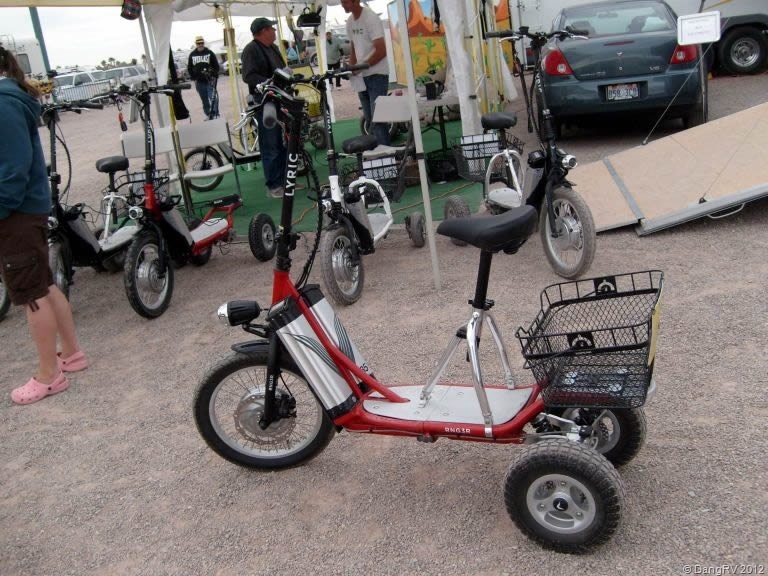 Don’t forget your bike or mobility scooter if you are coming to Quartzsite this year. There is so much to see there and so much walking to do. 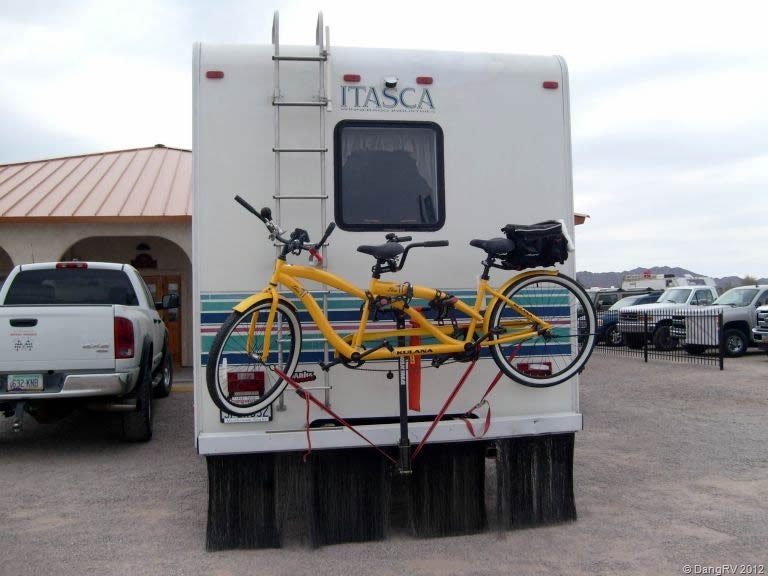 You likely won’t get a parking spot close so don’t forget your wheels. 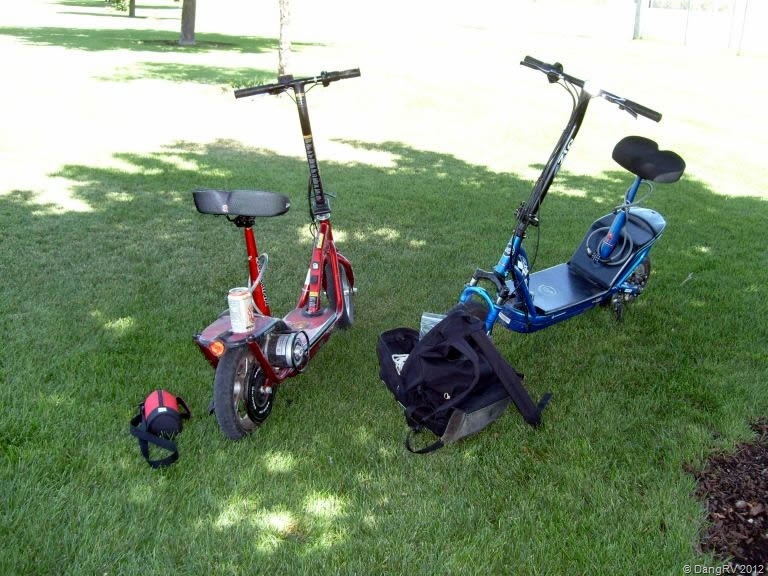 My brother and I plan to use a our 2 wheeled electric scooters here to get around and we have already seen several electric bikes here as well as regular bikes and even a bicycle built for two. We saw some 4 wheelers over by Tyson Wells on Saturday. 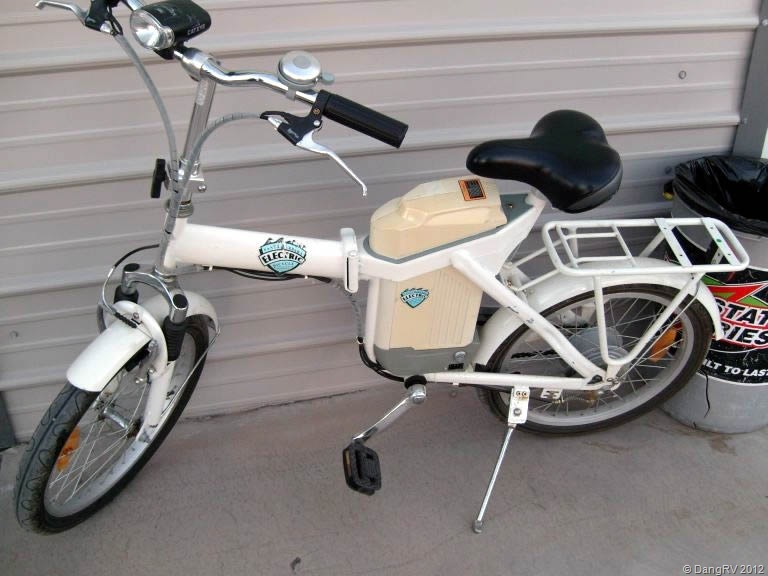 If you do forget your bike or decide you should have brought it, take heart because a new vendor in Tyson Wells in Quartzsite this year is providing rentals of electric 3 wheeled scooters as well as sales of them. Buying one will cost you $2600. However you can rent one of these fun and awesome babies with full suspension, 22 mph, 25 miles on a charge, basket, front light, etc. for only $10 an hr., $40 per day, or $180 per week. You can test drive one for free and I have to say it really does have a lot of get up and go not to mention excellent traction from the larger bicycle tire. Rentals are hot right now and even the vendor is surprised by the excellent reception the scooters are getting. We had to wait for one to come back in and be recharged in order to try it out. Are you available Jan 13-16, 2017. I need something to get around on for the rock show in quartzite. 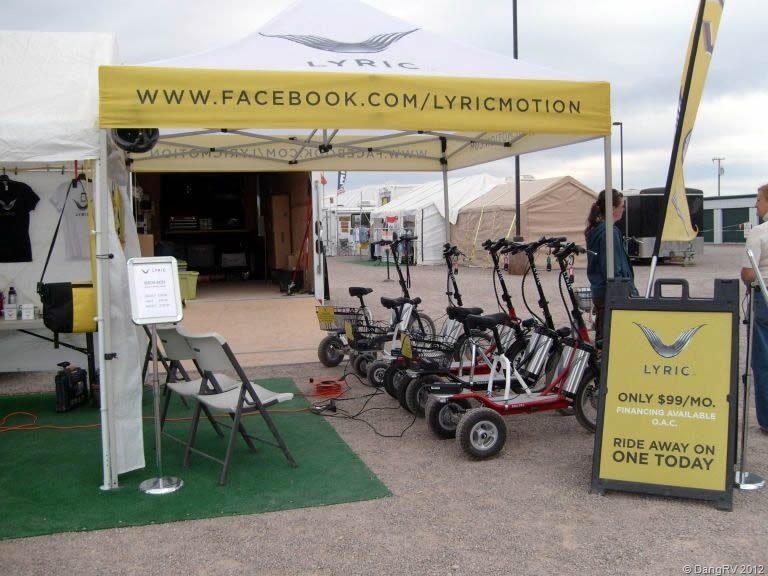 I don’t think they are planning to be in Quartzsite this year but you might try contacting Arizona Mobility Scooters at 480-250-3378 to see if they have any rentals or know anyone that does. I would like to rent a scooter this coming weekend (1 day). Where are you located? Do I need to reserve? I want to do the swap meet but recently had foot surgery and can’t walk very far. They are at Tyson Wells Space 28 which is on the south side (KBTtools side) of West Kuehn St. at the west end of that side. (801) 889-8064. Parking is always a bear in Q. But I think I’ll walk while there next week scoping it all out.